When you need lawn aeration and overseeding in Emmaus, you need Green Turf. Not everyone has a green thumb, and that’s okay! 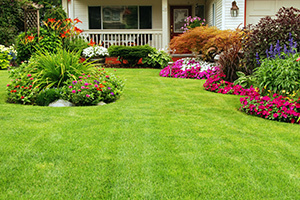 But no matter how green your thumb is, there are some lawn care services that are best left up to the professionals. While you can certainly take care of mowing and watering your lawn, when you need a little extra help keeping your lawn healthy and looking great in Emmaus, you need Green Turf. 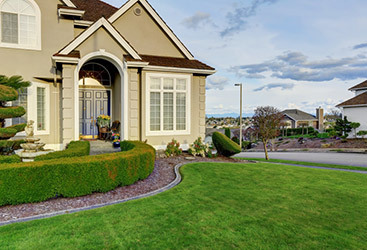 With Green Turf on your side, you’ll have a variety of professional lawn care services at your disposal, including lawn aeration and overseeding. Elevate your lawn this season and improve its overall health with aeration and overseeding services from Green Turf Care! Nobody wants a sub-par lawn and if you do, you can continue with your lawn care regimen of only watering and mowing! If instead, you want a dynamic and abundant lawn that glistens like the Emerald City, partner with Green Turf Care today! If you think lawn aeration and overseeding are overrated, just check out what our clients are saying on our Google reviews! Your lawn becomes compressed with use from playing kids to pets roaming about, which impedes on its health. Your lawn needs to breath and aeration is the way to achieve this. As the perfect prelude to overseeding, aeration primes your lawn to receive all the nutrients that gives it its beauty in the spring and summer months. Following an aeration service, overseeding can be applied. Overseeding saturates your lawn in nutrients and tackles bare and thinning grass patches. 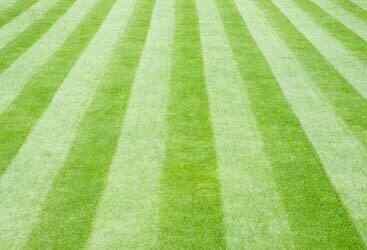 At Green Turf Care, we recommend you combine our aeration and overseeding lawn treatments. If you’re looking for a trusted Emmaus lawn care company who can give your lawn a much needed face lift, partner with us today! Why are aeration and overseeding so important for your lawn? In order for your lawn to remain green, healthy and beautiful, water and nutrients need to be able to reach its root system. 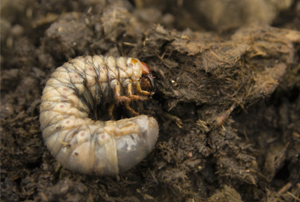 But, unfortunately, foot traffic, lawn furniture, and heavy machinery, such as lawn mowers, can compact the soil, making it almost impossible for your lawn’s root system to get the water and nutrients it needs. Aeration involves expunging small clods of soil from your lawn, which frees the way for your lawn to get what it needs to thrive. Once we’ve aerated your lawn, the experts at Green Turf will also overseed it with up to five pounds of premium grass seed, ensuring that it will be thick, healthy and one of the most attractive lawns on the block. Get your free aeration and overseeding estimate today! Contact us today for lawn aeration and overseeding in Emmaus! Overseeding and aeration are both important for your lawn’s health and appearance, and no other company is better equipped to provide your lawn with the services it needs than Green Turf. Let our experts help you achieve a truly stunning lawn by taking advantage of our affordable, effective lawn care services in Emmaus. Get your free aeration and overseeding estimate today.